Relying on its human capital, India has fast emerged as a knowledge-based service-driven economy. Among other factors, this success has been mainly attributed to improvements in India’s higher education landscape due to the pivotal role of education in realising an economy’s potential for growth. With the surge in demographic dividend holding a plethora of opportunities in the years to come, it is imperative that we stay ahead of the curve in enabling academic excellence in the country. The rapid expansion of higher educational institutions (HEIs) around the globe has posed challenges for their effective management. While building an effective, high quality academic system is a necessity and has been given due emphasis so far, it is important to now shift focus towards promoting effective governance within these HEIs, through changes in institutional arrangements and funding avenues, among other things. HEIs in India are subject to extraordinary control imposed by the regulating agencies such as the University Grants Commission (UGC) or by the universities they are affiliated to, and often have limited scope for autonomous decision making. The college affiliating system is losing significance in the present day; more so in India, as the number of colleges has been briskly expanding, making it difficult for universities to effectively oversee their working. This one-size-fits-all approach of affiliation is proving detrimental as the uniform university regulations do not appreciate the variation in strengths and weaknesses of individual colleges, and have hampered their growth and potential for academic excellence. Globally, there has been a shift towards granting autonomy to universities, coupled with an increase in accountability. Against this backdrop, this article examines the advantages and disadvantages of autonomy to HEIs as well as the current national framework for grant of autonomy, and makes a case for treading down the road of ‘graded autonomy’. There are several benefits of increased autonomy to HEIs. Through enhancing the administrative efficiency of HEIs by linking decision-making more closely to the point of action, autonomy saves the effort of compliance to cumbersome requirements (of regulators in case of universities, and of universities in case of colleges), thus releasing time for pursuits of academic excellence. Autonomy allows freedom to make the curricula more germane to regional needs, which enhances the relevance of academic programmes, widens the academic offer and improves employability. Autonomy strengthens the quality of research by facilitating prospects of seamless interaction between other universities, as well as local, national and international industries. Finally, increased autonomy can also lead to gradual diversification of funding sources by HEIs by creating supplementary income through research and consulting projects by the faculty and building partnerships with the industry. However, autonomy in HEIs could be accompanied with some concerns as well. Decentralisation of decision-making could increase workload for the academic staff as they may have to take over supplementary administrative responsibilities as well. External commercial opportunities for the administrative as well as the academic staff that usually accompanies increased autonomy could lead to diversion from core academic activities of the staff. This could hamper the quality of education provided to the students and in the long run create an incompetent workforce. Making the curricula locally relevant through exercise of autonomy could be myopic and cause neglect of national priorities of themes in education. Lack of uniformity in syllabi of the universities that may emerge through this could lead to regionally unbalanced employability prospects for the graduating students. Increased autonomy could also lead to an imbalance between resource allocations across departments. In a market-driven environment, institutions might focus more on providing for departments that promise high paying jobs and charge high tuition fee while ignoring research prospects that are sometimes not financially lucrative. To summarise, while there are benefits to providing autonomy to HEIs, there are some clear costs involved as well. Therefore, it is best that this autonomy is linked to accountability to the various stakeholders involved and the standards of quality are strictly maintained. The concept of college autonomy in India is at least half a century old, when the Education Commission (1964-66) made a case for the same as an instrument to promote academic excellence in the country. The Commission noted that exercise of academic freedom by the faculty is pivotal to intellectual development in the country, and students, teachers and management should work as co-partners in raising the quality of higher education. The first autonomous college in India dates back to 1985-86, and as of 31 March, 2017, autonomous status has been given to 602 colleges spread over 104 universities of 24 states (UGC Annual Report 2016-17). UGC has displayed commitment to grant autonomy to universities and colleges that meet certain standards of quality as reflected by their accreditation scores awarded by National Assessment and Accreditation Council (NAAC) and/or National Board of Accreditation (NBA). This has been notified through the UGC (Conferment of Autonomous Status Upon Colleges and Measures for Maintenance of Standards in Autonomous Colleges) Regulations, 2018 and UGC [Categorization of Universities (Only) For Grant of Graded Autonomy] Regulations, 2018. The former allows eligible colleges to seek autonomy at the institutional level, that is, it will cover programmes at all levels such as undergraduate, postgraduate and doctorate offered by the college. The latter set of regulations divides universities into Category I, II and III universities, with Category I being the highest and commensurate with utmost autonomy. Acting on these regulations few months back, UGC has granted ‘graded autonomy’ to 62 HEIs in India which includes five central universities, 21 state universities, 24 deemed-to-be universities, two private universities and 10 colleges. This autonomy allows these institutions to independently start new courses in self-financing mode, hire foreign faculty and enrol foreign students, design incentive-based pay structures for the faculty, and set up research parks and off-campus centres, among other things. This gives these institutions more freedom to embark on research and educational initiatives to pursue academic excellence and aim for rise in global stature. Particularly significant is that this autonomy does not in any way change the initial system of funding, as the HEIs will continue to receive funds as before these regulations came into effect. Autonomy is not an end in itself, but is simply a means to achieving academic excellence in HEIs. Therefore, it is imperative that autonomy is introduced in line with existing capacities, which need to be progressively developed so that HEIs can fully embrace its benefits. Given the current state of data about capacities of HEIs in India, NAAC accreditation performance is a suitable indicator for decision of award of decentralised governance to these institutions. 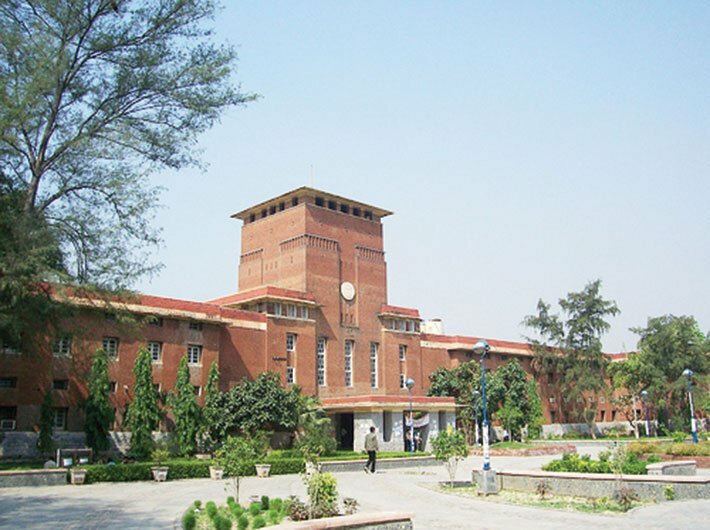 Another proposal by the UGC which allows third party private accreditation agencies (in addition to NAAC and NBA), provided they are registered as section 8 companies or societies, would decrease the concentration in the accreditation sphere and further strengthen the cause of establishing quality in HEIs. It is also worth noting that through a separate scheme, UGC has been correspondingly working towards enhancing transparency and accountability of HEIs through the ‘Higher Education Statistics & Public Information System (HESPIS)’. Also, the recent proposal to create a Higher Education Commission of India (HECI) in place of UGC, to look solely at academic standards and quality in institutions without any role in pecuniary concerns, could bring out a valuable disunion between regulatory and financial powers. Conjointly, these set of interventions would build a culture of trust between HEIs and the society, and also act as checks against misappropriation of freedom. Given this backdrop, the recent regulation by UGC on framework for ‘graded autonomy’ is a step in the right direction. Mentorship from HECI to improve academic quality in HEIs will allow institutions to gradually move out its regulatory ambit, and incline towards greater sovereignty. Implementing autonomy in this phased manner duly linked with quality and accountability, would unleash competitive forces motivating HEIs to improve their outcomes, and would pave the way for generalising it successfully across educational institutions in the country. Dhamija is a Young Professional with the Economic Advisory Council to the PM. The views expressed are personal.